There are tents and then there are roof top tents. Cascadia Vehicle Tents is camping, elevated. The family-owned company wants to help you live life to the fullest and pursue your passion for the outdoors with a huge selection of roof top tents designed to turn your vehicle into a mobile home away from home. With roof top tents from CVT, there’s no need to search for a clear, flat space to pitch your tent or worry about uninvited “guests” crawling in. These tents are securely attached to a rack on the roof of your truck or car and are ready to deploy instantly; just unfold them and lower the access ladder for an elevated view. Constructed to last, the incredibly durable tents can accommodate up to 4+ people and the knowledgeable team at CVT is ready to help you determine which make and model will best meet your needs and integrate with your vehicle. If you’re looking to trick out your roof top tend, CVT has awnings, covers, camp gear and more to add a little luxury to your adventure. For those who prefer to try before they buy, CVT rents three of its most popular models for a minimum of two nights. 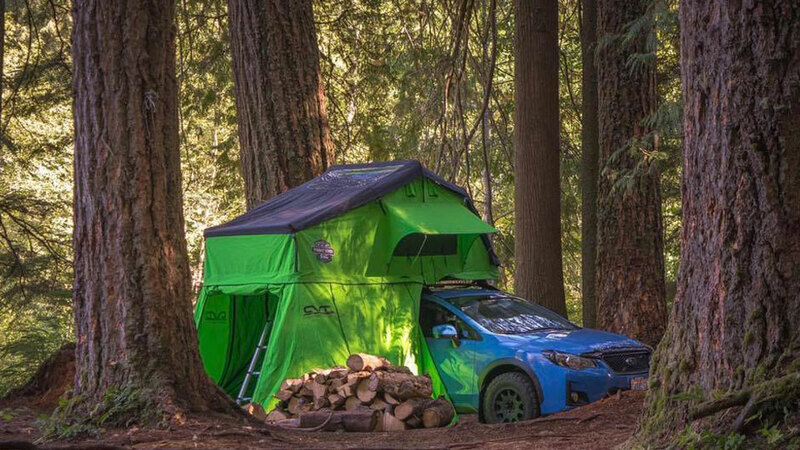 Upgrade your camping game with a visit to Cascadia Vehicle Tents.